2020 Vision Quest | School visits start 2019 at heart of our mission! Last week, Autumn and I began the new year with a trio of school visits and a handful of presentations to students and staff in Sanbornton and Nashua, NH as well as Townsend, MA. We confirmed another pair of presentations for schools in both of those states because our school presentations are a vital part of our mission. We have spoken to more than 82,000 students in schools since the inception of 2020 Vision Quest and will continue to work hard to ensure these programs are available to benefit students of all ages and grade levels. We will travel as far as we can reasonably manage to coordinate transportation and that has included all of New England on a reasonably regular basis. If you are a teacher, administrator, parent, or simply enthusiastic about what we offer; we encourage you to share this blog or our direct link to the school presentation information on our website. It’s a very simple process for any school to invite us to join them. We believe the results speak for themselves. Our presentations engage and inspire students and staff to achieve a refined insight on topics of problem solving, goal setting, managing obstacles/adversity and ultimately achieving our peak potential. An easy form on our website will step you through the process of requesting a presentation and we can soon be out to visit your school. Believe and Achieve Through Goal Setting, Problem Solving, and Perseverance! Our school presentations, provided by Randy Pierce, integrate life lessons with engaging stories of his progress through managing adversity. He learned to thrive not just in spite of challenge but perhaps because of it. 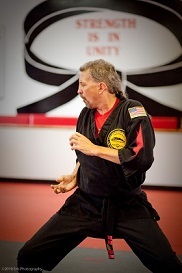 We believe Randy’s captivating approach provides essential knowledge and inspiration through all ages and levels. We will work with your school or organization to ensure the schedule, duration, and points of emphasis are ideal for your needs. We are proud to have presented to over 75,000 students since founding 2020 Vision Quest in 2010 and count on reaching many more! Students age ten or younger receive emphasis on diversity, guide dogs, and believing in themselves. Presentations to age eleven and older include additional focus upon life lessons for managing adversity and choosing paths toward a successful and positive life. This question challenged Randy from the moment he started to go blind in 1989. The question has motivated him, inspired him, frustrated him, pushed him harder than he ever would have thought he could endure, and made him realize that you truly don’t need to see to have a vision — and to make that vision a reality. It is also the first question that Randy challenges students to consider in his remarkable classroom presentations. 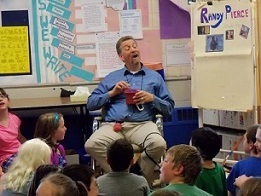 For well over a decade, Randy has been visiting schools throughout New England, delivering his essential message to people of all ages: to believe in ability — most importantly their own. Students respond enthusiastically to Randy’s passionate approach to inspiring and awakening young minds to envision the possibilities that lie beyond their own challenges. By prompting students to think, “What can I accomplish?”; he leads them to realize it is within their power to define, embrace, and achieve any goal. While we welcome donations or honorariums, we do provide our presentations at no cost to classrooms and youth organizations within reasonable travel distance to Southern New Hampshire. No distance is too great if travel arrangements or expenses can be resolved. To schedule a visit for Randy to speak at a school or youth program, please contact education@2020VisionQuest.org, call us at (603) 546-8542. To see what dates are available that might work for you, please visit the 2020 Vision Quest calendar.